Home > Trailers > Trailer: Penny-Punching Princess is looking better and better! Trailer: Penny-Punching Princess is looking better and better! 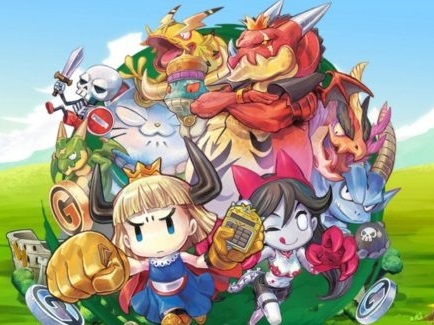 Penny-Punching Princess is a new IP being brought to our shores courtesy of Nippon Ichi. It's an action dungeon crawler with a clever twist; everything involves money. I'm not just talking about equipment here. You can bribe and defeat enemies simply by throwing money at the problem. It's capitalism stretched to its most ridiculous. And it looks utterly adorable. This new trailer put out by NISA shows off some of the characters you'll fight with and against through the game, while also showing off some of the core gameplay. It's a very old school looking dungeon crawler, to be sure, with delightful pixel art and plenty of enemies to batter your way through in the game. You don't even have to wait long for this! It releases on Nintendo Switch and PlayStation Vita on March 30 (Europe/ Australia) and and April 3 (America).